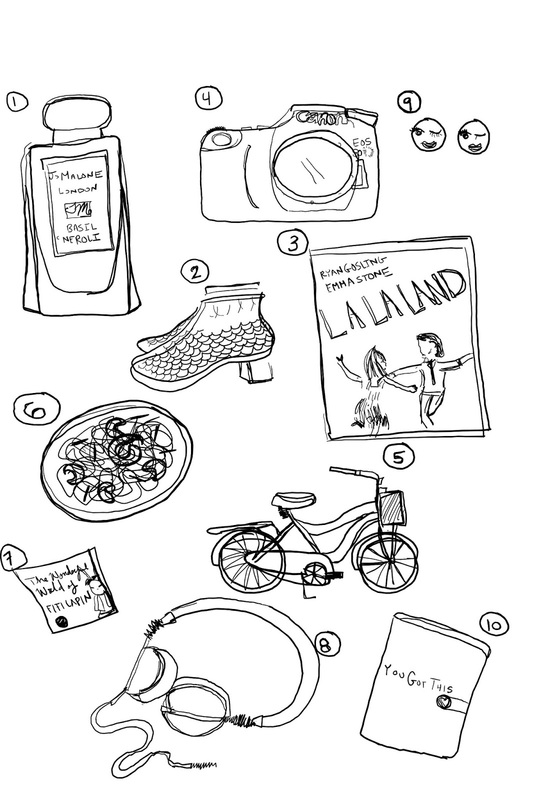 A Tablespoon Of Life: 7 Tablespoons Of : "February Favorites" as Illustrated by Conny. 7 Tablespoons Of : California 2016 : Day 1. 7 Tablespoons Of : Hopdoddy Burger Bar. 7 Tablespoons Of : "February Favorites" as Illustrated by Conny. February, Already!? What!? There is much to be thankful for each new year, and altogether, I am thankful for all that the new challenges and experiences January and February have brought along. In celebration of a new year, I thought I'd start a new series where I put together an illustrated collage of everything that has made me happy during the month. Yes, although I do realize I am a month behind on the series, I figure it's better later than never, right? Right! You're wonderful so far, February! Here is what I am liking about you lately.